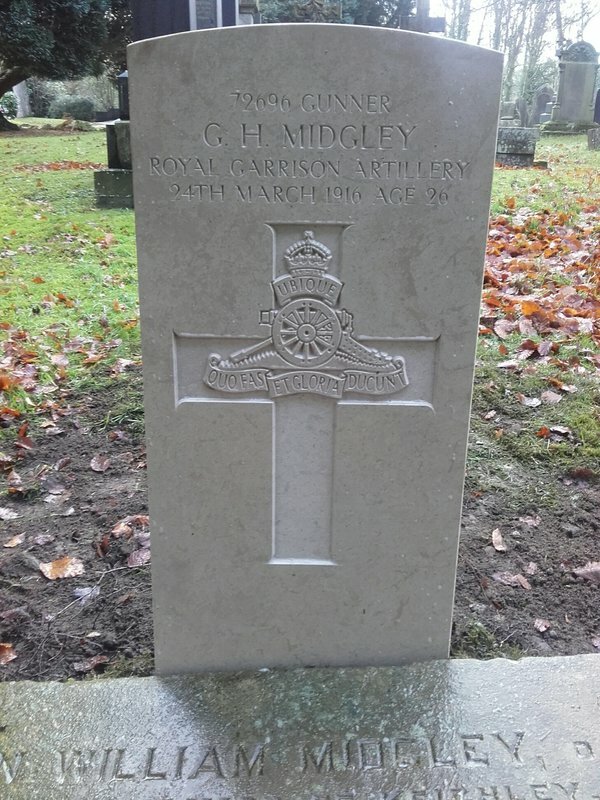 We're thrilled to see that our Jan 2018 submission of 72696 Gunner Gilbert Hardy Midgley's case has borne fruit with a new headstone on his Utley Cemetery grave at Keighley. Wonderful news from the Commonwealth War Graves Commission and a lovely early Christmas present! The photograph below is by kind courtesy of David Royle of the Commonwealth War Graves Commission. Three men commemorated and one not accepted, It's a small thing compared to what the IFCP have achieved but it's great to know we're making a difference. Interests:44th Battalion AIF, 14th & 19th Btn Northumberland Fusiliers. Small or large numbers, each one makes a huge difference in many ways. Beautiful to see that Gunner Midgley now has his identity back.